Pictured above: it is hard to accurately describe what is happening in Chinese society, thanks to China Tech’s speed-of-light developments. Living here on a day-today basis really frames the picture, but I do try. 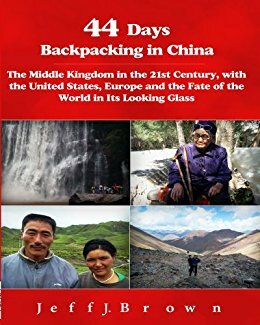 Just click on this link to see all the articles/podcasts I have done on the subject (https://chinarising.puntopress.com/?s=china+tech). Many people around the world are fearful of the impact of artificial intelligence (AI), big data, face/voice recognition, robots, cobots, cash-free living, 5G wireless powering machine functionality and services, like driverless transportation and robotic precision surgery. As well, football-field-sized laboratories with hundreds of exaflop supercomputers, crunching all the world’s data leaves many people feeling uneasy about the future of the 21st century. Amazon Scout, meet Philly sidewalk. Can’t wait till this thing is looted and then promptly turned into a community latrine. Hated corporation thinks people won’t destroy job-stealing robot. Amazon is proud to announce Scout 2.09, equipped with side mounted machine guns and the latest in racially-biased facial recognition software. It probably comes equipped with tear gas, tasers, a radiation device. Another guy posted a GIF of three working stiffs, one using a baseball bat, to destroy an office printer. You get the picture. There are surely a few Luddite cranks in China, but in general, the people here happily embrace technology into their daily lives, to make things easier, cheaper, more convenient and faster. Paranoid, violent revenge on a robot would be considered extremely deviant and criminal here. That Amazon Scout had to have a person guarding it the whole way. I think we know what will happen when left to its own devices. It would quickly get looted and vandalized in the West. I remember when Alipay and WeChat came out with smartphone payments and banking, about two years ago. One-billion-four-hundred-million citizens calmly transitioned from pockets full of bills and change to paying for literally everything – even vending machines – using 3G-4G. We can transfer cash payments up to 10,000 rmb (about $1,500) in a matter of seconds to friends, family, bank accounts and the fees are only 0.1%, compared to 2.5%-4.5% for Western bank cards and PayPal. You can send even more, but it may take a few hours. Thus, a taxi driver can do 1,000 yuan in fares and pay a paltry 1.00 rmb for a safe, assured cash register! Apple Pay was actually the first in China to offer payments by phone, but their fees were Western sky high for the national market and vendors wouldn’t use it. It has since seen its ignominious death in China. For retail purchases, this 0.1% rate applies to the sellers only, not the buyer. It’s ubiquitous. Street vendors offering fruits and vegetables have their Alipay and WeChat QR codes hanging on their carts. They don’t need electricity. I simply phone scan one of their QRs, put in the amount to pay, use my six-digit password/fingerprint and voilà, they are paid in seconds. I guiltily carry a few hundred renminbi in my billfold, but never touch it, unless I happen to be in a totally wireless dead zone, which almost never happens in China. Chinese robots are appearing everywhere, doing simple services at airports, restaurants and performing street patrols for people who need help. They operate in complete peace and are happily accepted by the public. We now have an AI robot as a newscaster on TV. You can’t tell the difference. Robotic drones are delivering merchandise to isolated communities. Nobody is smashing them with bamboo sticks. China is set to be the first country to use driverless vehicles on a large scale. Yes, China’s citizens are leery of AI, big data and face/voice recognition. 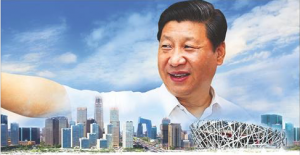 It’s all over the national media and Baba Beijing is constantly conducting local polls and surveys to find out exactly what concerns the people, whereupon they write and pass laws and regulations that address these worries. 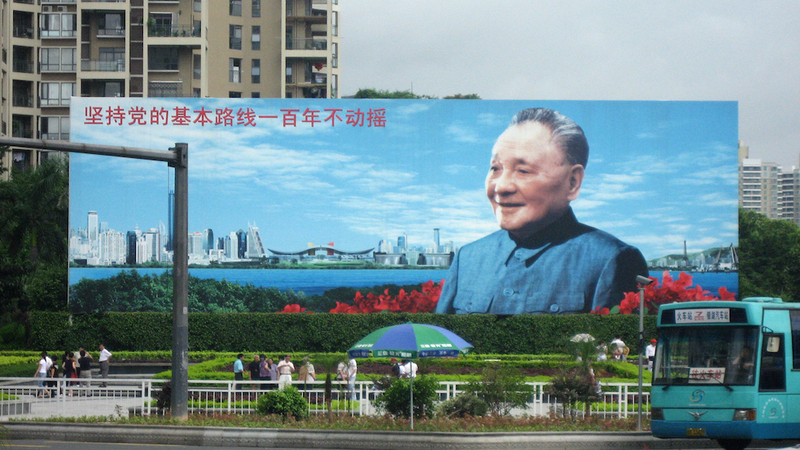 Chinese democracy is fully consensual and participatory. Baba is not going to shove anything down the masses’ throats, if they are largely against it. Facial and voice recognition saturates Chinese society now. 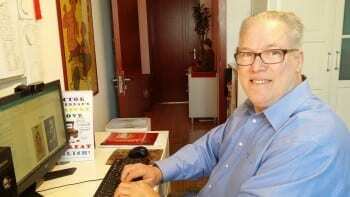 I was in Shaoshan, Hunan, visiting Mao Zedong’s hometown, which is a pretty out of the way place (https://chinarising.puntopress.com/2018/10/11/reflections-on-my-travels-to-proud-revolutionary-hunan-province-china-rising-radio-sinoland/). I was going through a turnstile to visit one of the historic sites. We are having to present photo IDs less and less, since we can be recognized by our faces. This time, it didn’t work. So, instead of asking me for my passport, they asked me to give a thumbprint on a little infrared reader and presto, it identified me and I walked right in! That may spook many Westerners, but I like it. If I’m totally lost, injured, have an accident, go down with a heart attack or become unconscious, the police/hospital could immediately identify me, and notify my wife and daughter in minutes, who are also in the national system. In fact, police are catching many thousands of wanted criminals with face recognition, who are now no longer roaming the streets, which is making society much safer. 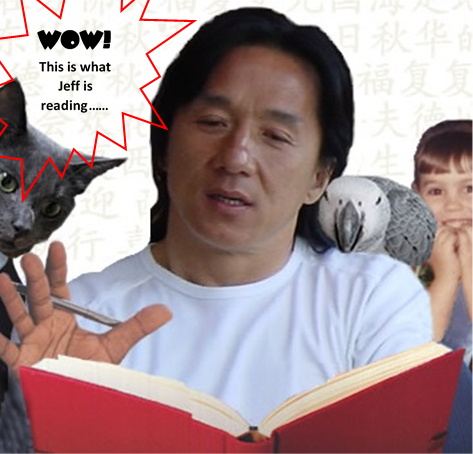 The viewpoints of Westerners and Chinese are so different, for two big reasons. First, Westerners despise and do not trust their governments, politicians and along with the Fortune 500. They know they are controlled by a private-public criminal cartel. They may internalize and compartmentalize it, to go along for survival on a day-to-day basis, but deep down we all realize it’s true. Of course, the citizens are frightened by all this technology, because their elites owners should be dreaded. The West is already a fascist and police state, even though 99% of the people are in total denial. But from outside the Great Western Firewall, it is abundantly clear. Living in capitalist economies, Western citizens also bitterly know that automation, robots, AI and all the rest will not benefit them, only making them poorer and more redundant. All these increases in productivity will go straight into the pockets of the 1%, as has been the case since the early 1980s. Here’s what’s happening in China. Baba Beijing is already spending billions of yuan training hundreds of thousands of workers being made redundant by AI, big data and 5G. How are they paying for it? By taxing the robots and technology that are causing it. This technology taxation takes much of the productivity profits away from the businesses here, and puts into the pockets of the people, to offer cheap mass transit, subsidized housing, free education, training, universal health care and on and on. Of course, they are not taking it all from the corporations, otherwise there would be no incentive to develop. Baba will leave the CEOs with what they need to make a healthy profit, but transform the rest into public services and a higher quality of life for the masses. Thanks to Chinese democracy, the people trust their government and leaders to do what’s in the best interests of the vast majority of the citizenry. 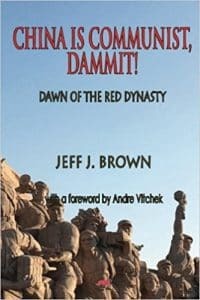 Nothing has changed since communist liberation in 1949, something I have written and podcasted about extensively (https://chinarising.puntopress.com/?s=democracy). This actually fits perfectly into the Marxist mantra of, From each according to his ability, to each according to his needs. That is pure communism, which the Chinese have yet to achieve, but for the first time in human history, 21st century China Tech will make it possible. 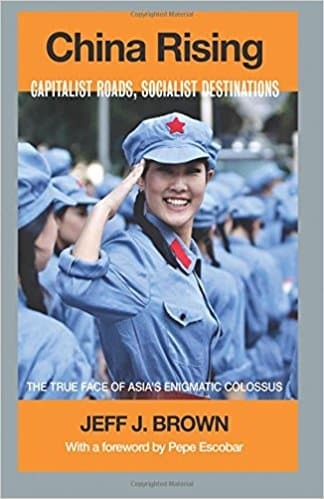 Currently, China is in its socialist stage, progressing towards an egalitarian, communist society and economy. Socialism is, From each according to his ability, to each according to his work. 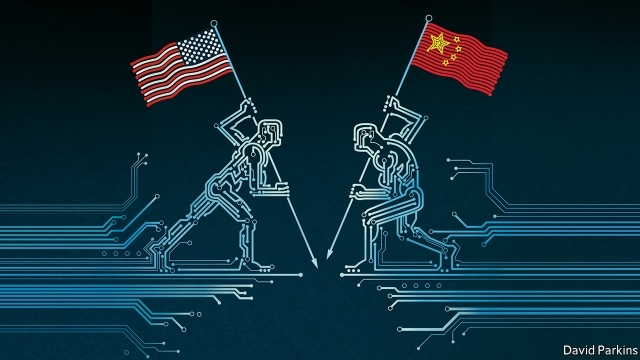 No free lunch just yet, but the plan is for Chinese robots, AI, big data and 5G to make it a reality, for the 100th anniversary of the People’s Republic of China, in 2049. I hope I’m alive to see it, but the actuarial tables are against me.